Energy from Waste is a concise, up-to-date and accessible guide on how to create power from both urban and industrial waste. The book explores the types of waste that, instead of going to landfill, can be converted to energy, also discussing the most up-to-date technologies for doing so. 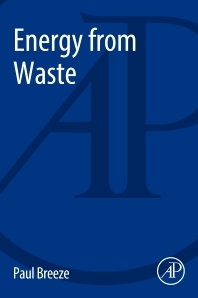 The book contains a strong emphasis on the related environmental impacts and economic factors involved in the various methods of generating electricity, making this a valuable and insightful read for those involved in the management and conversion of waste, including energy engineers, managers and technicians.